You may be swept off to a serious BRB indaba; no Ale, no darts, just a large bare table in a quiet room. Shuffle in, say G’day, find a seat, settle your notes and sit quietly until the stragglers arrive. It is show and tell day. Only one subject – the ditching of a Pel-Air patient transfer Westwind off Norfolk Island. All attending may, rightfully be considered ‘expert’; there ain’t many, I count 10 heads, including my own, five teams of two, each with an element of the incident to analyse. After this little sit down, the notes and opinions will be handed to me and the draft response from the crew will be put together; agreed, edited and sent off to the Senate RRAT committee. We were at it all morning; knitting the disparate threads – its not until you see the whole that the final picture emerges. Suddenly, a part which has been puzzling a team makes sense when melded with the results from another team. Time ticks by and, at last, the truly ugly picture emerges. Of course I can’t spill the beans; not here, not yet. Patience children, the opposition is still batting; out turn will come soon enough. You may however, just for practice, care to study some of the material and draw your own conclusions. No matter which element of the incident you care to focus on, there is (IMO) only one conclusion which can be sensibly drawn – WTD were the agencies playing at? To answer that we must why; what possible motivation could assigned. Aye, it’s a puzzle right enough.. There are some serious questions hovering around the legitimacy of the ‘enforcement actions’ taken against James. Chambers was, as usual, in a hurry and sketched his way around the ‘facts’ in his trademark caviller manner. The truth is often a victim of the now infamous ‘facts and circumstances’ missives Chambers has issued in the past. Whether this was at the direction of another or; a function of his own venal, twisted personality is not for us to decide. However, for weal or woe, Hood was drawn into the business. Hood was ‘the decision maker’. Hood signed off on Wodgers demands. Willing accomplice or unwitting dupe? The odds favour a moderated verdict; initially willing accomplice, going along to get along, then; once the penny dropped, the best back peddling exhibition ever seen. That’s the rub – right there. By the time Hood realised that there were serious flaws, it was too late, he was deeply implicated in the embuggerance. The part which staggers the BRB is his silence. Hood knew what was going on and chose to keep stum and why not; that silence probably landed him the ATSB job. The BRB believe the Hood epiphany began when the transcript from Nadi turned up – after the draft report was done. Which is amazing, when you think about it. What sort of an investigation does not collect and consider all the available weather data – all of it – the lot. What sort of an investigation neatly side steps the fact that the 0803 was never transmitted to the flight crew. What sort of a decision maker knows this and fails to put the brakes on the Chambers wagon? CASA must, by a simple process of elimination, known, full well that the 0803 report was vital. If James had received it – they had him stone cold; gross negligence – and we would have cheered that decision. To continue on regardless of the 0803 was indeed, reckless. But James never, ever got the message. That, standing alone exonerates James completely. From that one omission every possible hole in the cheese lined up. CASA cannot possibly deny knowledge of this fact; and, by extension, neither can Hood. There are so many holes and patches on the legal and procedural case that it cannot hold water. Then there is the vexed ‘fuel’ question – much was made of this; but in the final analysis – James was ‘legal’ all the way – and ran out of luck a long while before he ran out of fuel. The BRB team completely agree with the Davies submission to the Senate inquiry. Within a few pounds and within the ‘thickness of a pencil line’ every BRB member found much the same data as Davies and drew the same conclusions. Even down to the difference between a forecast below ‘Alternate’ and above ‘Landing’ minima. It all comes down to the critical 0803 from Nadi. There are some questions which demand answers related to the 0803; like, when was it drafted, when was it transmitted and when did Nadi receive it. Without ‘fact’ one may speculate, the operator in Nadi busy with HF – the fax turning up – ignored, then forgotten, by this time the aircraft is too far away. Maybe even almost up to the Auckland boundary. The time line of ‘hand off’ confirms this – there may have even been a change of operator at Nadi during the period in question. Whichever way you come at it; this is the critical point. Did Hood know, did the ‘investigators’ know; did the ATSB wizards work it out. From the e-mail chain it seems that the IIC nutted it out – but Dolan consigned him to the pencil sharpening cupboard. One of the CASA wizards saw the problem, tried to get a message out; but, ended up storming off in high dudgeon. But the madness persists. The faery story likely to be perpetuated now by the second ATSB report. There are too many holes in the emperors new clothes to acknowledge even a stitch out of place. The ‘second’ report can be nothing else other than a feeble attempt to lay the blame on James and exonerate the ‘official’ line. No matter, I need a new telephone book to keep the office door open; a nice new shiny one from the ATSB will do, very nicely indeed. “What of the new CEO?” asks Aunt Pru. “Well you may ask” says I, ” we have ‘just culture’ instructions being peddled out the front door, while he nips around the back to kick the living bejassus out of James.” Not only will he wait for the final report (12AA) but he is contemplating allowing Worthington to go to the USA at tax payer expense to ‘judge’ the James performance against the Flight Safety ruling. It’s a ducking insult, duplicitous and completely unnecessary. Worthington is not a professional pilots boot-strap, never was, never will be. But he does need to be questioned about some of his actions, not only in this matter, but in others. The BRB and Aunt Pru will be happy to provide those questions. A dream come true, Cambers, Campbell, Hood and Worthington in the dock – ah, what bliss. You could throw in a couple of others for comedy relief. Me? I’d have the whole bunch tarred, feathered and paraded through the streets – alas…. 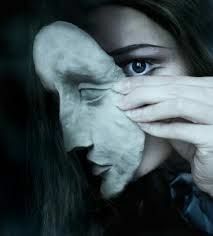 “False face must hide what the false heart doth know.” – William Shakespeare (Macbeth). Aye, if only we had a minister of Senator calibre; can you imagine if Sterle or O’Sullivan got hold of this; gods help ATSB and CASA if Fawcett took a hand. I would buy a ringside seat to watch that match – no matter the cost. CHAIR: Of course. I’ve got to tell you, if your investigator didn’t ask it, you want to get him or her down into the car park and get them out of your business as quickly as you can. That would have to be the most fundamental question. Pel-Air have taken up much of the weeks spare time (and some not so spare) but it has been worthwhile. A quick straw pole was taken, to see how many believed that the true, unvarnished facts and circumstances appended to the ditching event would ever see the light of day. Not many is the answer, not many at all; there was one bloke thought it may happen; but we know he talks to the faery folk who live in his garden. Enough – the invisible Manning’s missive will be delivered shortly; then we shall see just what degree of honesty and integrity he has breathed into the second report. The ‘book’ is closed by the way – too many of the IOS have been sniffing about to make it a fair bet. Keep your money folks; aliens arriving for Sunday afternoon tea has a better chance of a return. That’s it – no more excuses; the minister for Domestic Tyranny has a list of stuff that demands my attention – now: now. But if I’m quick, the back door is open and the dogs patiently wait. Segue to : “K” picking up spare boots and tiptoeing toward the back door to the stable – it squeaks a bit; but we know that, carefully (SSSSHHH dogs) our villain slips into the orchard, out of sight.